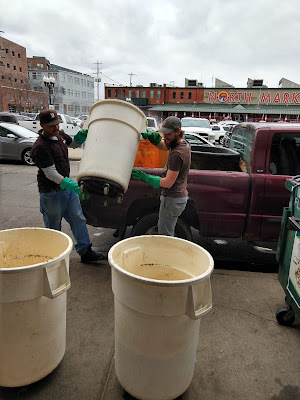 Last year, I entered the 23rd annual homebrew competition at Barley's Ale House in Columbus. 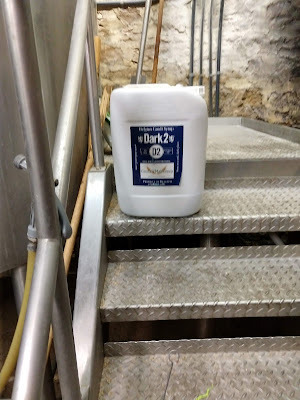 To my shock and amazement, I won the competition with my Belgian style Dark Strong Ale. On March 15, Angelo Signorino, Jr., and his brewing assistants Tate and Singer made my dream of brewing a professional-sized batch of beer a reality. The day began at 10am when I arrived at Barley's. We went over the recipe to make sure it looked correct. Not surprisingly when dealing with pros like the guys at Barley's, it did. Seventeen bags of grain (plus a bit, I think) went into the mash tun. 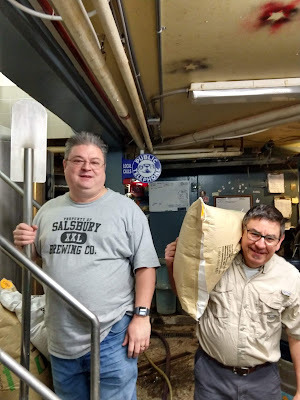 The Barley's crew did the heavy lifting since my shoulders are pretty arthritic, but I helped stir the mash for a while and helped load the hops. 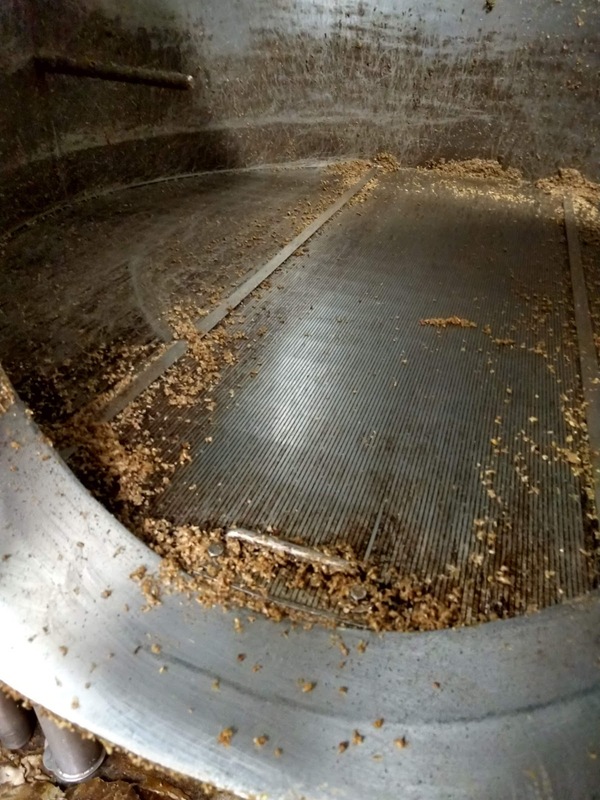 If you don't think that brewers like these work hard, then it's only because you've never seen them mash in. Lugging the big bags to the brewing system, dumping the contents into the mash tun, and stirring to ensure the grain is properly hydrated is a lot of work. I only did a very small part of that and it was all my shoulders could handle. I'm very appreciative and grateful to the guys for all they did. 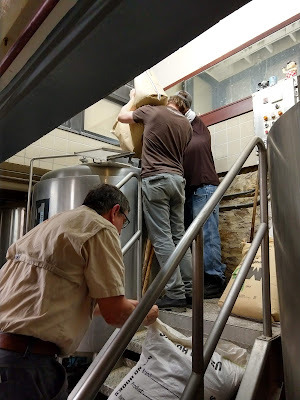 When the mash was finished, the guys unloaded the grain from the mash tun. It weighed over 800 pounds going in. After soaking up some water, I'm sure it was far heavier coming out. 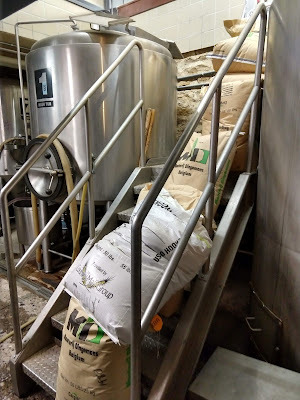 Loading the grain and unloading the spent grain was a lot, but the heavy lifting didn't end there. The guys had to haul those large white containers out to the street, where a farmer took it with him. With the spent grain disposed of responsibly, the effort turned to cleaning the mash tun while the wort started heating to a boil in the kettle. Yeah, that's someone inside the mash tun cleaning it! 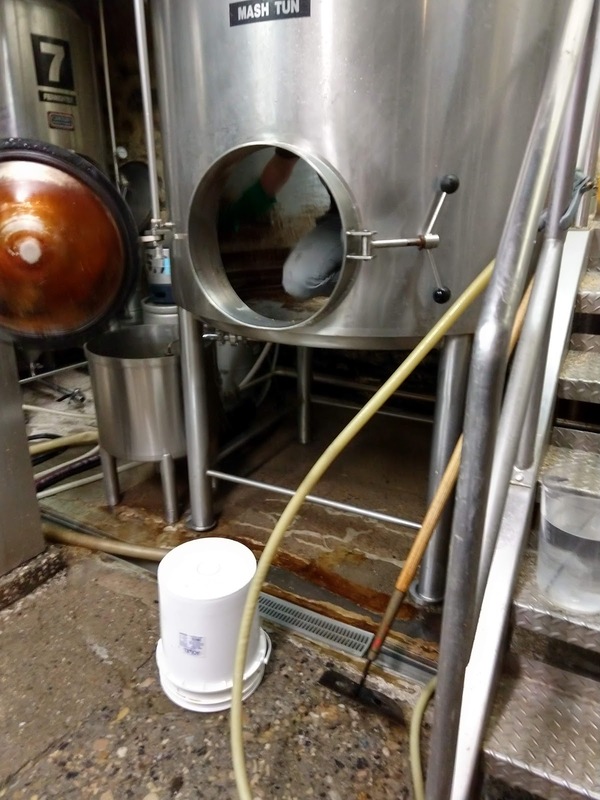 Once the mash tun was cleaned, the wort had just about worked its way to a boil. 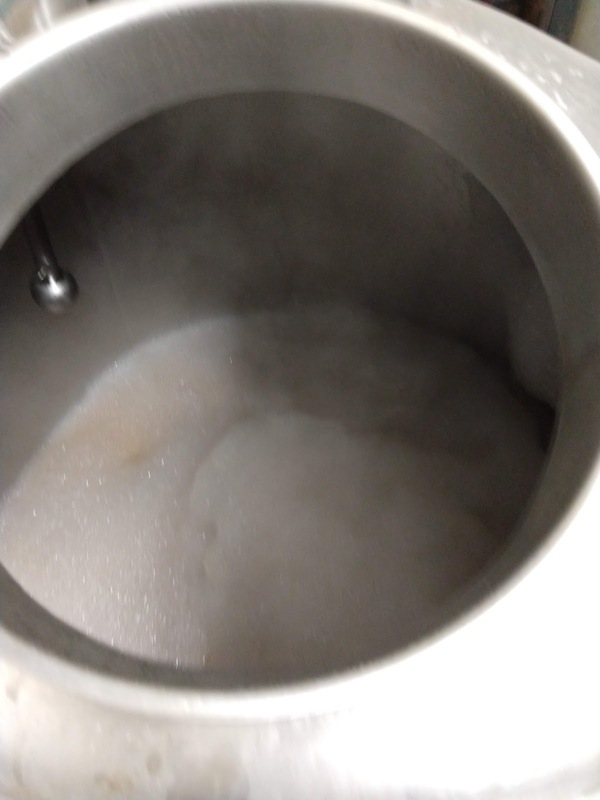 This particular wort really likes to foam, as you can see in the image below. Hops, yeast nutrient, and Irish Moss all made their way into the kettle... along with 55 pounds of Belgian candi syrup (seen below). 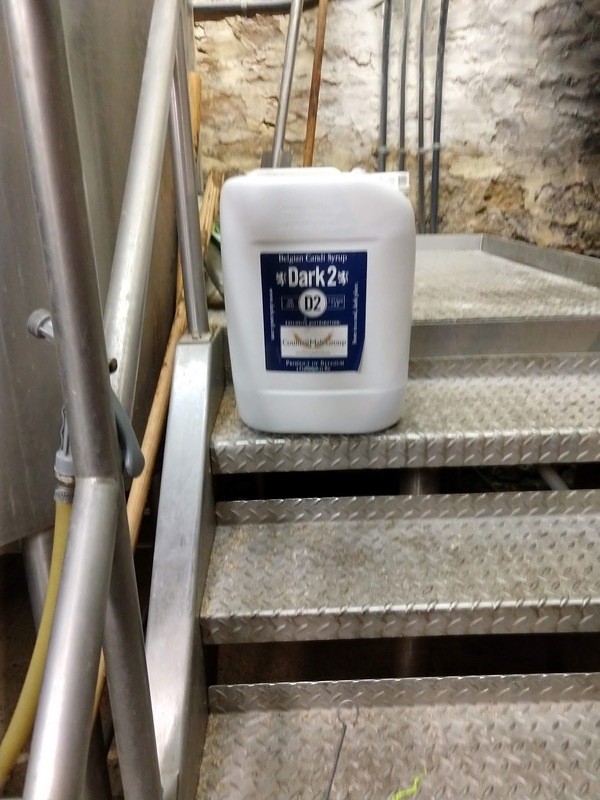 That is probably more than I have used in my entire home brewing history! 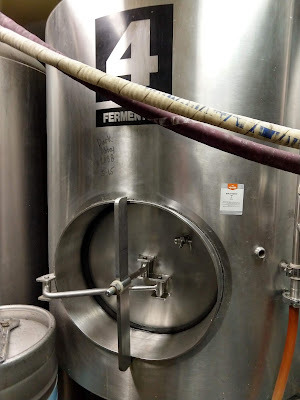 While all this was going on, the fermenter was sanitized. 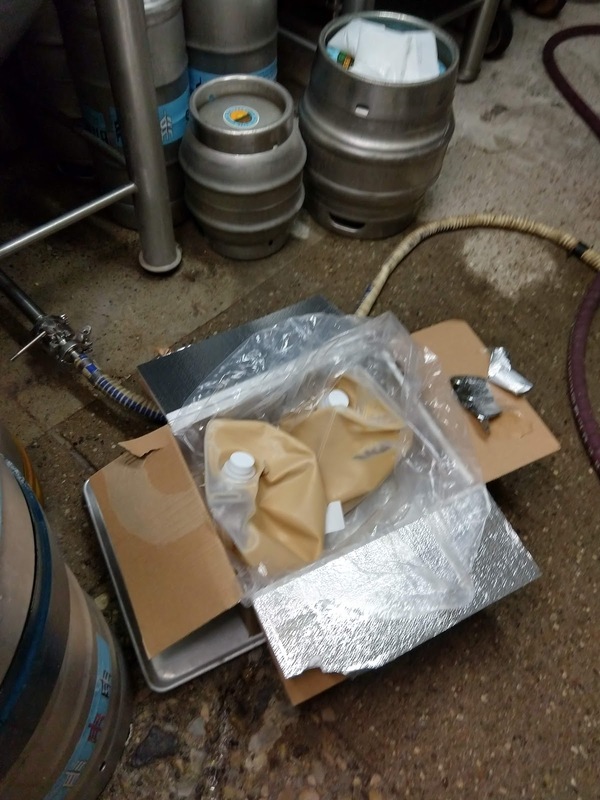 We then shook up the massive bags of Wyeast 1762 yeast and loaded those into the fermenter before sealing it up. 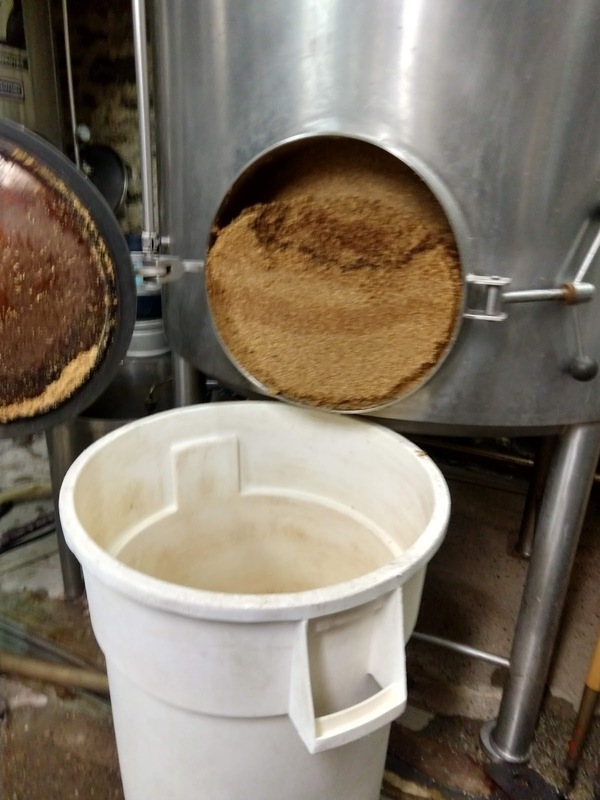 Now that's a lot of yeast! The wort was oxygenated and chilled as it made its way into the #4 fermenter. Seeing my beer's name (temporarily) emblazoned on a 10-barrel fermenter was a proud moment. I watched, with great respect, the hard work that Angelo and his team do every day. It was an absolute pleasure to hang out with them for the day, and is something I will never forget. 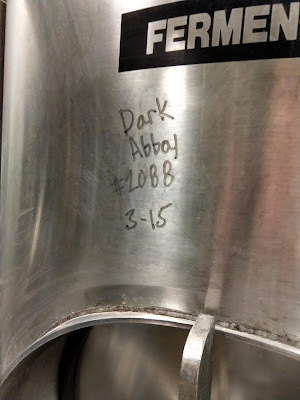 I'm looking forward to seeing this beer again when it comes out of the tap on April 14!